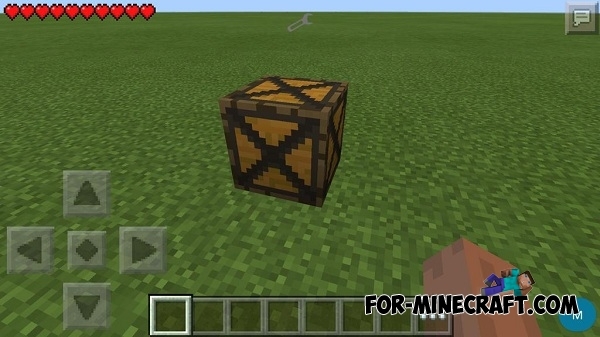 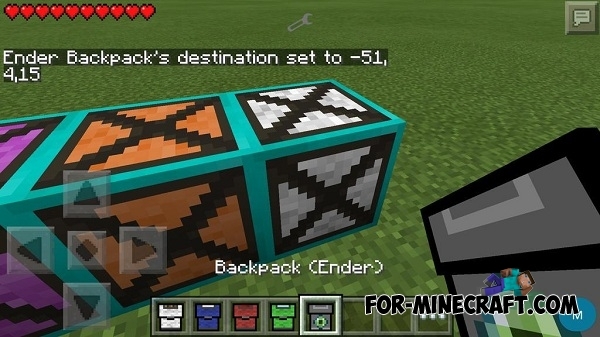 The modification adds a new system of storage - backpacks and storage blocks (+ Ender chest). 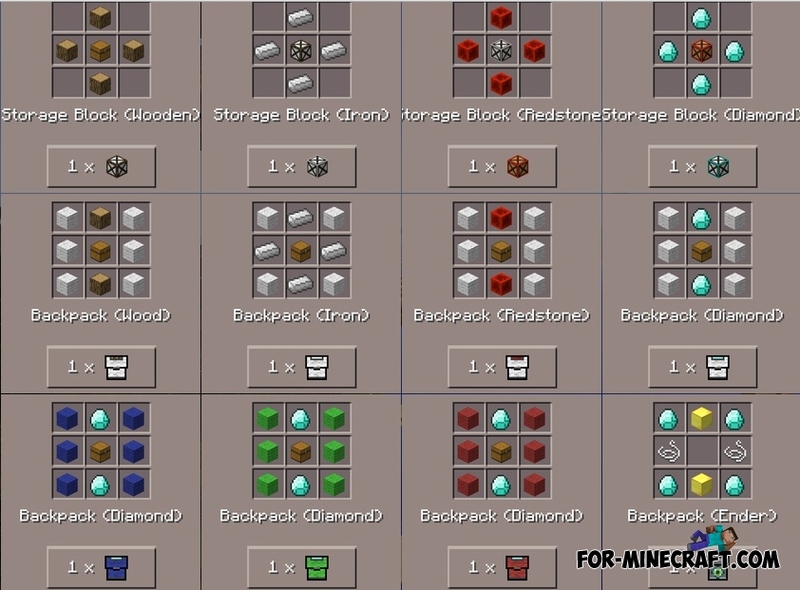 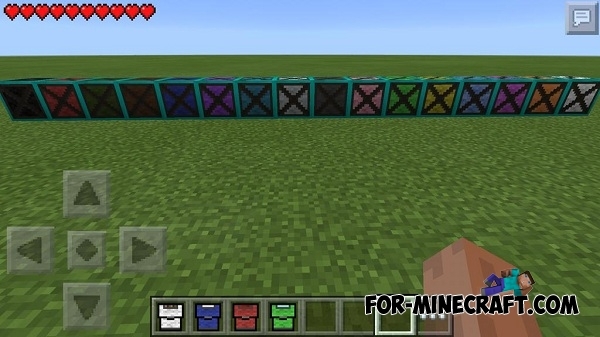 Backpacks and storage blocks have four types - wood, iron, redstone and diamond. 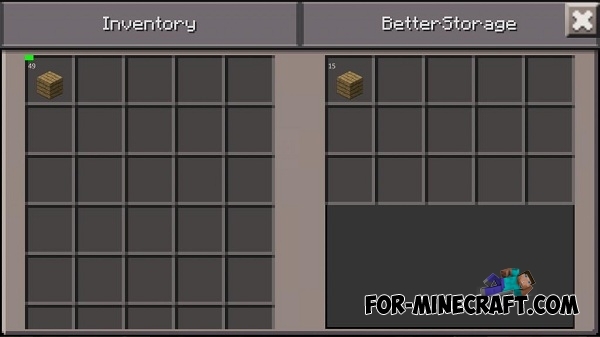 Each type has a different number of slots for things.